Each year, approximately 800,000 people. are admitted to the hospital for complications with their gallbladders – most often because of gallstones. They occur more commonly in women, and more frequently in those who have been exposed to higher amounts of estrogen during their lifetime through birth-control pills, hormone therapy, or pregnancy. The gallbladder is a small pear-shaped organ located just below the liver. It plays an important role in food digestion by storing bile produced by the liver and providing it to the small intestine where it breaks down fat. The gallbladder generally goes unnoticed unless a patient experiences symptoms of a disorder, such as gallstones. Gallstones are like grains of sand or small rocks that develop in the gallbladder as a result of bile becoming chemically unbalanced. Only about 60 percent of people with gallstones experience symptoms, as they can develop and pass through the gallbladder and intestines without causing symptoms. However, when a gallstone is large it may become caught in the passageways, or ducts, of the gallbladder, pancreas or liver, resulting in extreme pain. Gallstones generally fall into one of two categories, depending on the cause. Pigment gallstones develop when bile contains too much bilirubin, a naturally-occurring chemical normally removed by the liver. Pigment gallstones generally develop in individuals with liver conditions such as cirrhosis or sickle cell anemia. Another type, cholesterol gallstones, comprises 80 percent of all gallstones and consists mostly of undissolved cholesterol. Because most gallstones result from high levels of cholesterol, diet plays a very important role in the prevention of gallstone development. 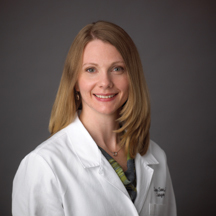 Susan Sees, MD is the most recent addition to Surgical Associates of Chester County (SACC), and is in practice with Nenito Uy, MD, FICS and Christopher Olukoga, MD, FACS. SACC works directly with your primary care doctor to provide you with outstanding care. They’ve brought together a team of excellent physicians, advanced medical technology, and updated facilities to bring you exceptional healthcare in your own backyard. To schedule an appointment with Dr. Sees or any of our surgeons, please call 610-384-6550. Next Story → Forgetfulness Or Dementia?